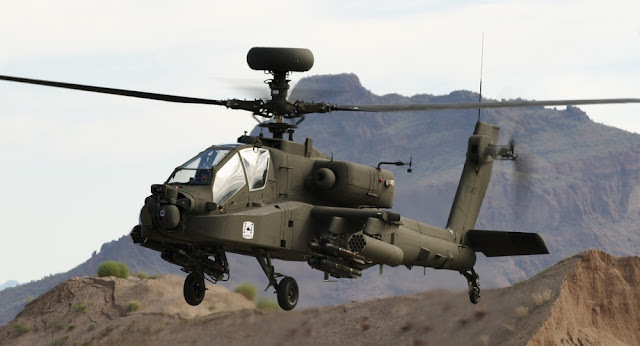 Houthi forces have shot down an Apache helicopter belonging to Saudi Arabia in the Yemeni province of Hudaydah, the pro-Houthi al-Masirah television network reported. The incident allegedly took place in the Hudaydah’s Bayt al-Faqih district on March 16. On January 25, Houthi forces downed another Apache helicopter belonging to the Saudi-led coalition in the Dhubab district of the province of Ta’izz. Not surprising. Quite honestly I'm surprised we haven't seen more of this. Which makes me spin back to the Marine Corps' aviation centric concept. Remember the helo raid by Army AH-64s at the start of the 2nd Gulf War? Those birds got chewed up and if I recall that unit was basically rendered combat ineffective till they could get replacement helicopters in. The crash of the MV-22 during the raid in Yemen and the turn back of the SEAL reinforcement in Central Africa also come to mind. Even terrorists are taking not of our reliance on helicopters/tilt rotors. Switching from landing 2/3rds of the landing force by air instead of sea will bring a whole new set of issues that I don't think anyone is realistically looking at. If they have anti-ship missiles that will keep us 100 miles out to sea then they will have anti-air missiles that will shred our helicopters/tilt rotors almost as soon as they leave deck!